A huge reason golf can be so difficult and frustrating to play on a consistent level is that all your irons are different lengths, have different club head lie angles and different ball positions. This forces you to have to learn 8 completely different swings just to use all those irons for approach shots. Late in 2013, Golf Professional , Jaacob Bowden went to visit Tom Wishon, a 40-year veteran of the golf equipment industry specializing in club head design, shaft performance analysis, and club fitting research and development. Jaacob asked Tom if they could co-develop a cool-looking single length iron design that would retain all the inherent benefits of single length sets while solving all the problems. Sterling Irons® are the world’s most technologically advanced set of single length irons the world has ever seen. They are inherently easier to play. One single length iron means one single swing for each club. 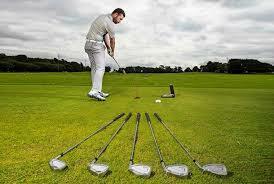 You end up gaining a ton of consistency, hitting the ball closer to the target, and shooting lower scores. Discover an easier game with Sterling Irons® – inquire about getting professionally fitted for a set of custom single length Sterling by Engineered Golf. 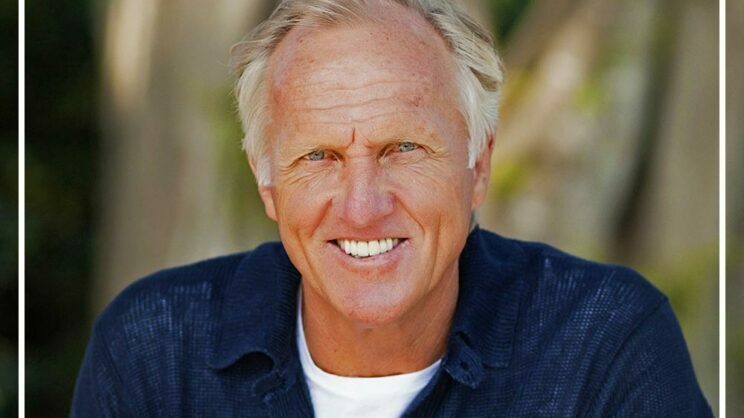 If Greg Norman can realize the benefits playing with them, then you could too. Actually, it's quite likely that you will experience comparatively more benefits than Greg Norman did! 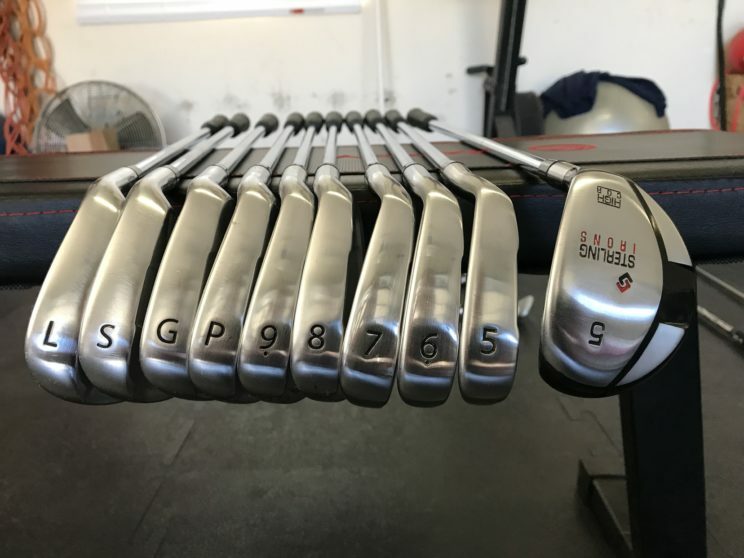 "After finally hitting a top quality set of single length irons, I can honestly say I was impressed with not only the look but the feel as well. If you're in the market for single length iron's then I highly recommend Sterling Irons. It will take you a little while to get used to them because they are different but once you do, you will never go back." Designing a set of single length irons is an engineering exercise that requires resolving the numerous and varied issues associated with making the concept work. On paper, the positives are overwhelming. When every club is built to the same length (most built at a 7 or 8 iron length), the golfer needs only one setup, one ball position and only one swing for every club. In theory, this should make it easier for a player to make consistent contact. 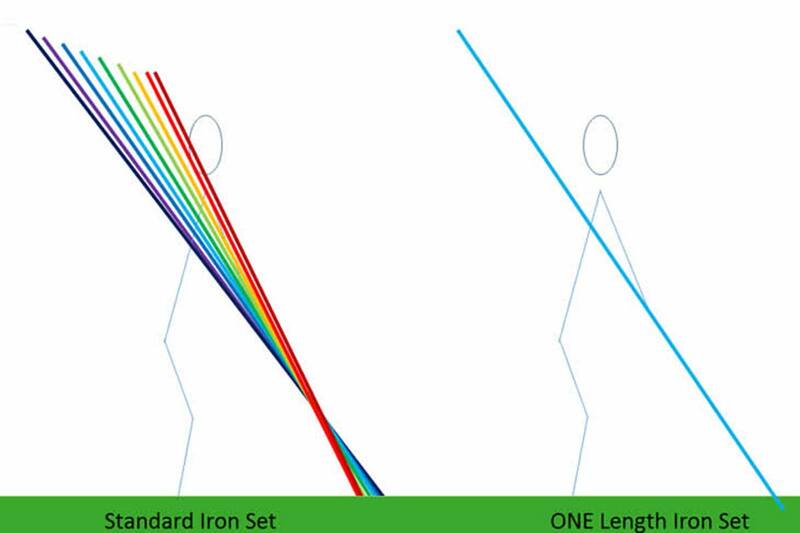 Because every club is the length of a typical 7 or 8 iron – the single length long irons (3, 4,5) are comparatively shorter than their variable length counterparts. while the short irons (9, PW, GW, SW) are longer. Using standard head weights, the pitching wedge would swing like a sledgehammer, and the 3 iron would feel like the driver from your kid’s junior set. And that’s before we even consider ball flight. There are a variety of historic problems within the single length market. Some of the primary issues were that not all the manufacturers had USGA-conforming grooves, there were limited custom fitting options, distance gaps sometimes bunched, and there were trajectory problems with all the manufacturers in that the low-lofted clubs flew too low and high-lofted clubs flew too high. 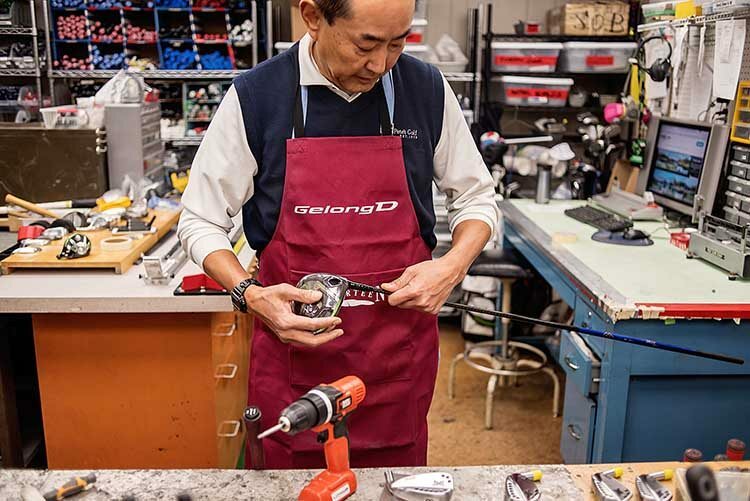 I would like to cite Kirk Oguri, a Golf Digest Top 100 Clubfitter with extensive single-length fitting experience. Both he and I, feel players are best served by relying on CG (center of gravity) location and COR to manipulate flight and distance. That’s where Wishon hit's the mark and other OEM manufacturer's miss. Sterling relies on changes in COR and offset to produce optimal flight in longer irons. Specifically, the 5-7 irons use thinner-faced HS 300 steel to boost ball speeds. The top end of the set is cast from 8620 carbon steel. Wishon cautions against companies like Cobra who use 17-4 stainless to create hi-COR heads. Wishon believes the material isn’t strong enough to support faces thin enough to generate the ball speed necessary to overcome the distance challenges associated with single length long irons. To protect against too low launch and spin, Wishon increased offset in the long irons to move the COG farther back, which helps players launch the ball higher and farther. Another distinction in the Sterling approach is that the set is built to standard 8 iron length, not 7 iron like Edel and Cobra. While each set can be altered to the player’s preferred specs, starting with a shorter club in Wishon’s experience, makes the adjustment to longer short irons easier. It makes the entire set easier to hit in general. 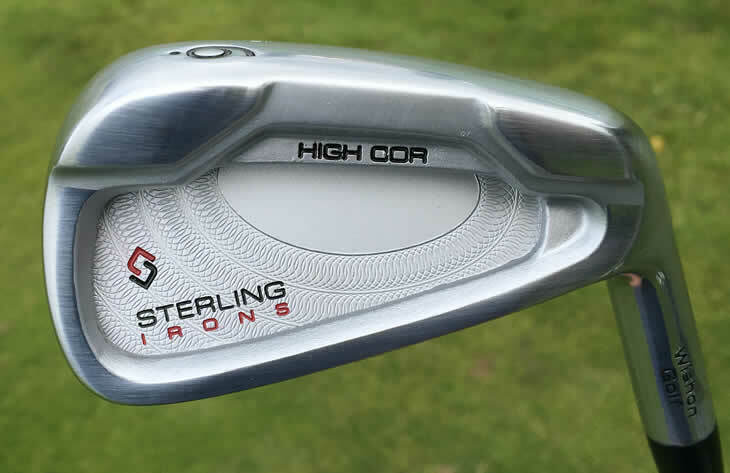 Admittedly, the Sterling irons are targeted at the middle 75% of golfers, most of whom struggle hitting their irons consistently and don’t have the swing speed to create optimal launch conditions with anything with less loft than a 6 iron. However, ALL levels of golfers can take advantage of the consistency and forgiveness benefits playing Sterling SL irons. Wishon is convinced there’s a real benefit in single length, not only for golfers who have never been able to find a repeatable iron swing or are just taking up the game, but for any golfer. The current golf market is more receptive to the Single Length concept. In part, it is due to the recent success of Bryson DeChambeau. He used a set of single length irons on his way to becoming the 5th player in history to win both an individual NCAA championship and US Amateur Championship in the same year. 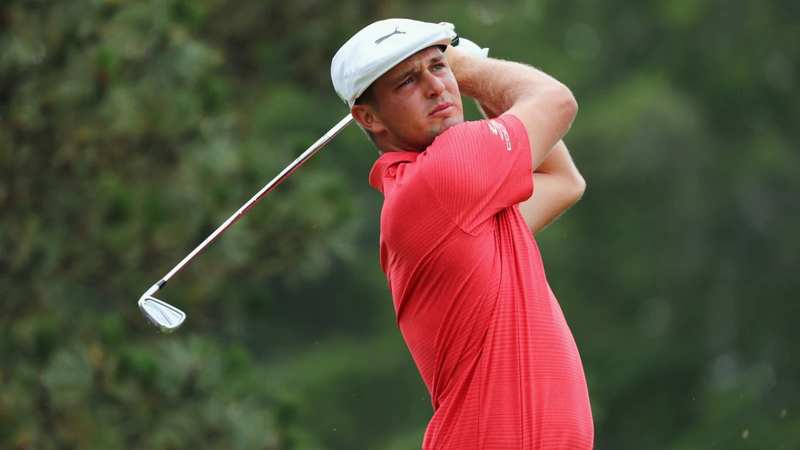 After turning pro in the spring of 2016, DeChambeau has used single length irons to capture professional victories on the Web.com, PGA and European Tour’s. In the early part of 2019, he has climbed to the 6th ranked player in the world. He credits much of his success to the single length concept. Engineered Golf's confidence in single length irons is also partially rooted with Bryson DeChambeau's success. He's won at the highest levels of amateur and professional golf. It’s understandable why we see this technology as offering tangible benefit for a wide-range of players. I personally see the benefits from playing Sterling Single Length irons. More than a conventional set of irons, single-length requires an expert fitter. Engineered Golf feels the term tailor is more appropriate than fitting. Anyone can get fit for a suit at Men’s Warehouse. However, a truly great experience comes at the hands of a skilled tailor. The skilled tailor not only understands all of the possible variables, but can arrange them in a way which measurably gives you the very best product. We can do that for you. Sterling Irons Now Available to Test Drive! Here are some details on the demo Sterling irons that we have available. We have two right-handed demo sets for you to try. Your choice of either graphite or steel shafts. You'll need to prearrange a demonstration time so we will have them fully prepared and ready for you. 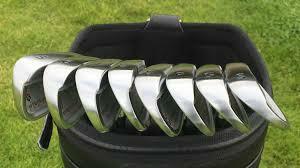 All iron heads weigh 274 grams, about the weight of a standard 8 iron head. 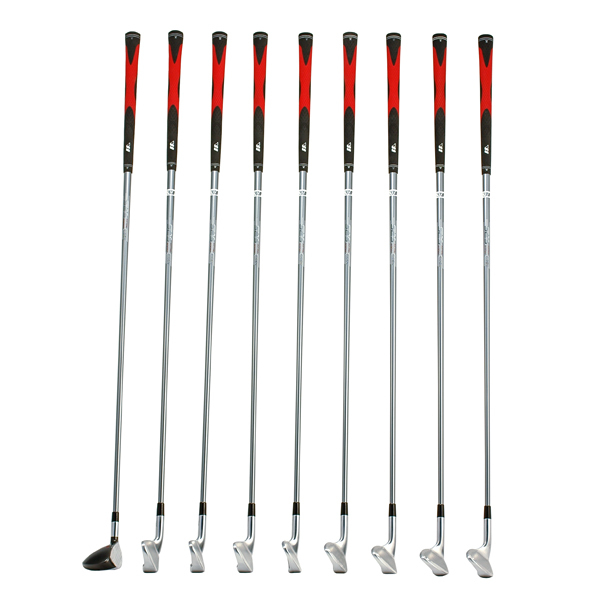 Custom fitted Sterling irons come in a full right-handed set, (10 clubs available in total). Irons are available from 4 iron through to Lob Wedge. There's a RH 5 hybrid available for those who have difficulty hitting long irons. 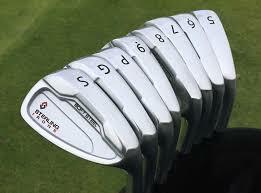 Left handed Sterling irons are available from 5 iron to Sand Wedge. New traditional shaped Sterling SW & LW are also available. Engineered Golf can help you with a trial demonstration, or an in-person custom fitting.